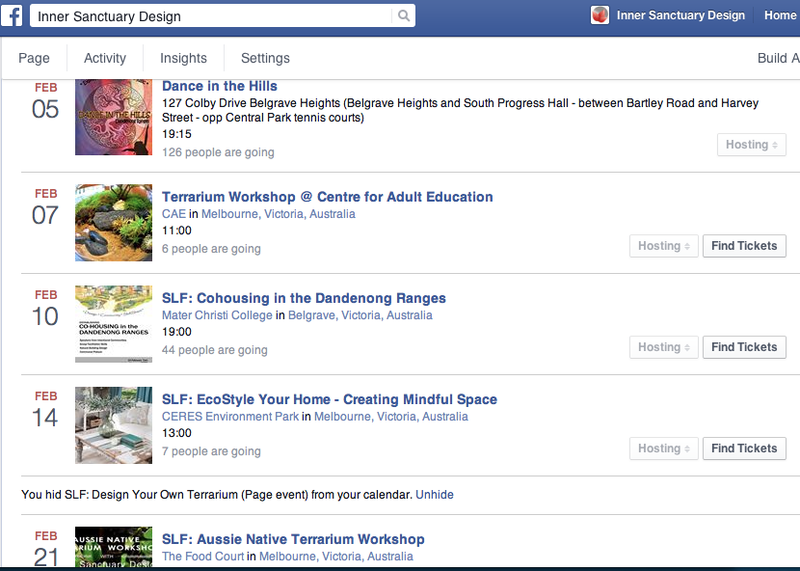 Inner Sanctuary Design is bringing environment, wellness and lifestyle workshops to the greater Melbourne community. In February, you can choose from dancing, terrarium creations and home styling workshops. Creating space for the heart & soul. Retreats, Studios & Workshops inspiring health, wellbeing and creativity in our community. What a lovely approach to our society. Take a look at the Facebook page and check out the EVENTS tab to find out more and to secure your tickets! What is Inner Sanctuary Design? Creating outward sacred space enables access to your inner sacred space. Architect and Lifestyle Designer Samantha Levy works with you to identify your goals and desires and demonstrates the power of our environments to create supportive and uplifting spaces which bring these dreams into physical manifestation with ease. Samantha also facilitates workshops that create opportunities to connect with the mind, body and soul elements of our environment through nature, community and our own individual creativity using tools of dance, drawing, and natural art. Lovelly Communications is proud to be working with Football.Music.Culture to launch their Pozible campaign and lead to the filming of this exciting documentary project. 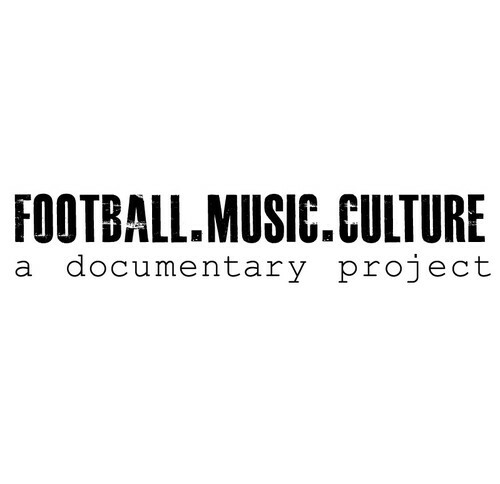 FOOTBALL.MUSIC.CULTURE is a documentary project that explores football and music fanaticism and how these are expressions of the cultural history and identity of a city or country. It does this by meeting and talking to the people and documenting their stories as they unfold through their musical and footballing experiences in day to day life. 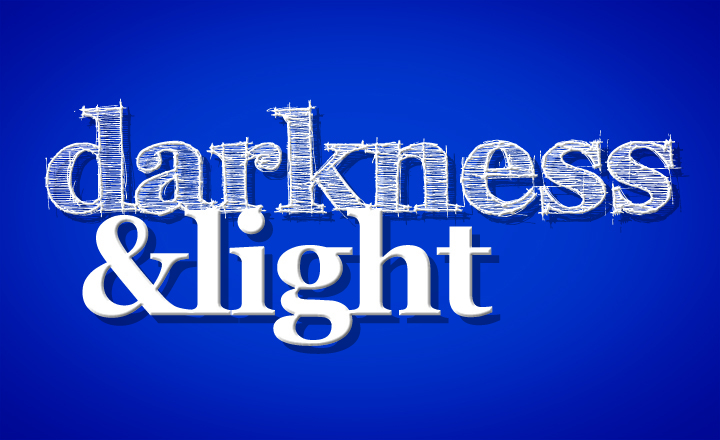 The interesting part of this project is identifying links between the two worlds through the people we meet. Its not always obvious, but in many ways its staring us right in the face. 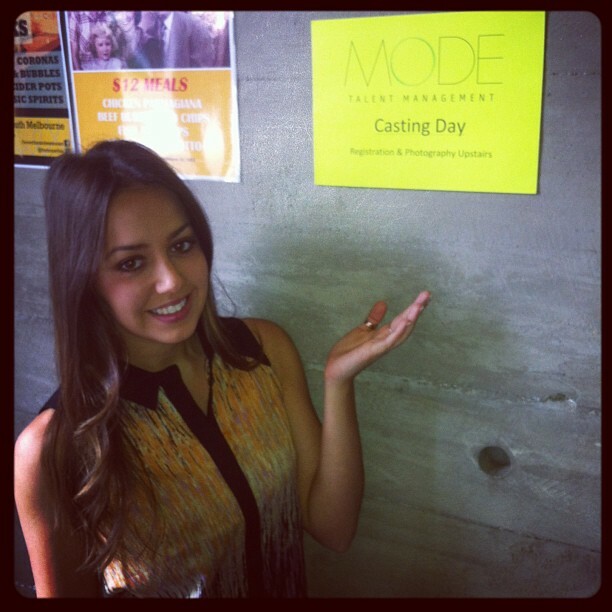 Lovelly Communications was proud to help out Mode Talent Management at their first ever Casting Day on Sunday 5th May 2013. The day was a great success with a great group of new talent being added to the books and photographers providing talent with new headshots for their portfolios. Interviews, registrations and two photo shoot areas were set up to meet and greet as many talent as possible on this big recruitment day. 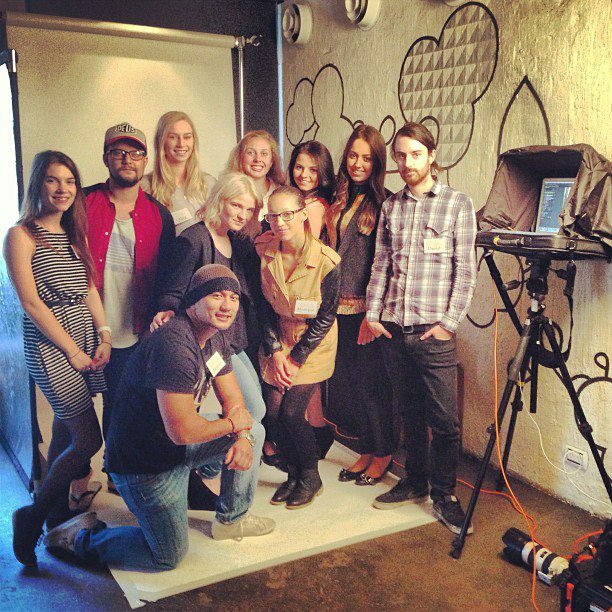 The event was held at Honey Bar in South Melbourne in their brilliant upstairs function area. Big thank you to them for the use of the space on the day. Here is a video from the day and some of the activities we got up to. Can you spot Emma Lovell, Director of Lovelly Communications in there? Lovelly Communications role was to support Director of Mode Talent management, Rebecca Field, with interviewing new talent and organising the running of events throughout the day. We were also on hand to help out with direction of photography and getting some great smiles out of the amazing talent. Congratulations to Mode Talent on a very successful day and some wonderful new talent coming to TV, brochures, events and more soon. These are my favourite stories to share and to write about. 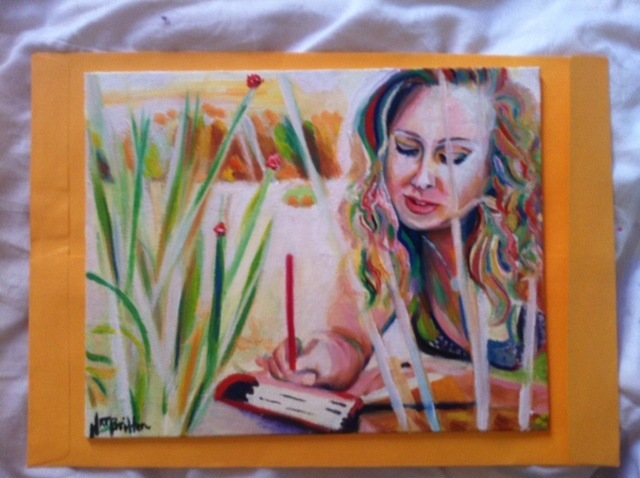 I recently had the pleasure of having my portrait painted by the lovely Natalie Britten. 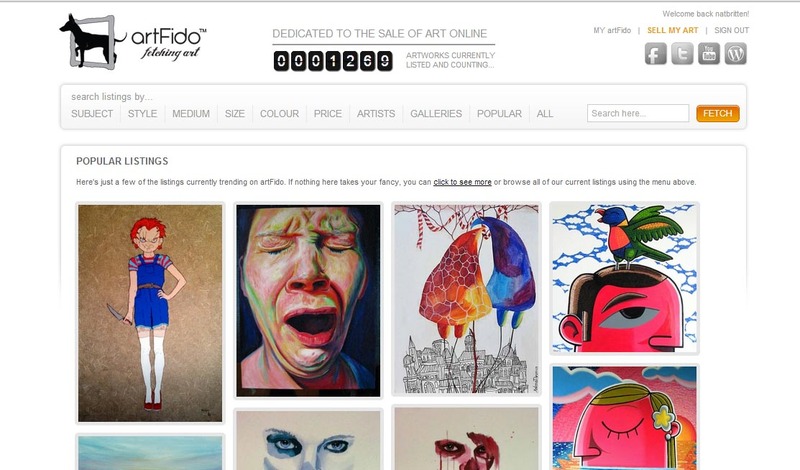 She is a talented artist and we did a trade- promotions for painting. I feel I got a good deal. 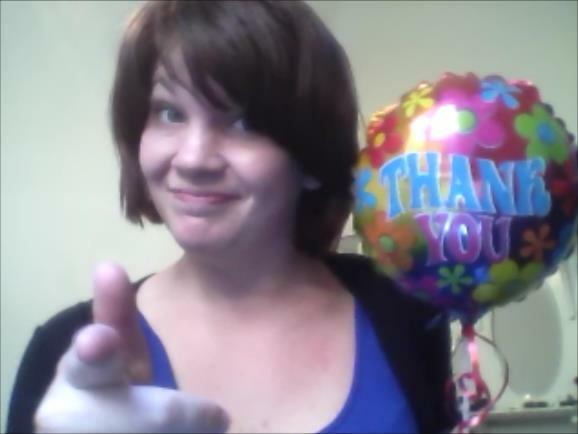 I have since been promoting her work through my blog, business page, Twitter, Facebook and more and as a result – the posts have been shared in one go to more than 20,000 people. See the pictures below for how it all unfolded. Social Media conversation on Facebook! 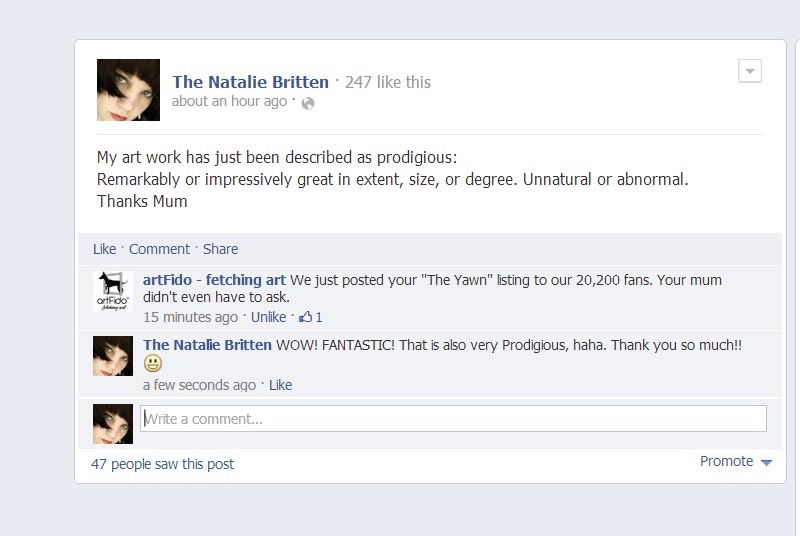 Simply – I tweeted about her great art, Natalie commented about it, and this lovely company decided to share it with their 20,000 + followers! More Media for lovelly clients – Girls Night was recently featured here on this blog and the news is spreading. Book FringeTix and at the door. 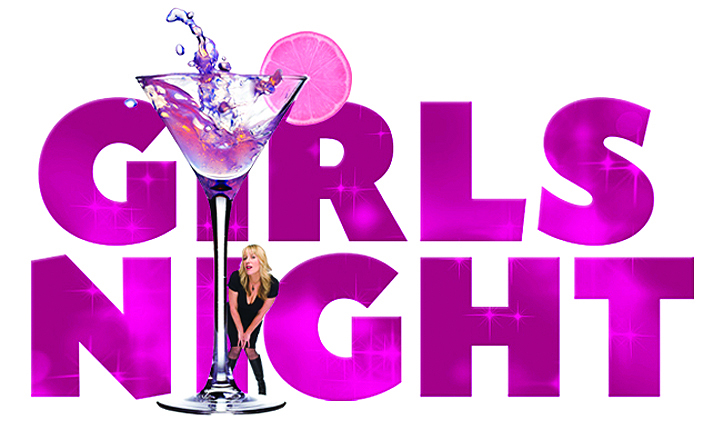 Grab your girlfriends and get ready to giggle, Girls Night is back for the Adelaide Fringe 2013! Bringing together some of the best Australian and International female comics, this is a night to celebrate all things female and funny. Shows will be hosted from February 15th – March 2nd at The Austral in the city of Adelaide. Media success comes in many forms and all experience with the media adds to your brand and your profile. Any publicity, is good publicity – just manage it well! 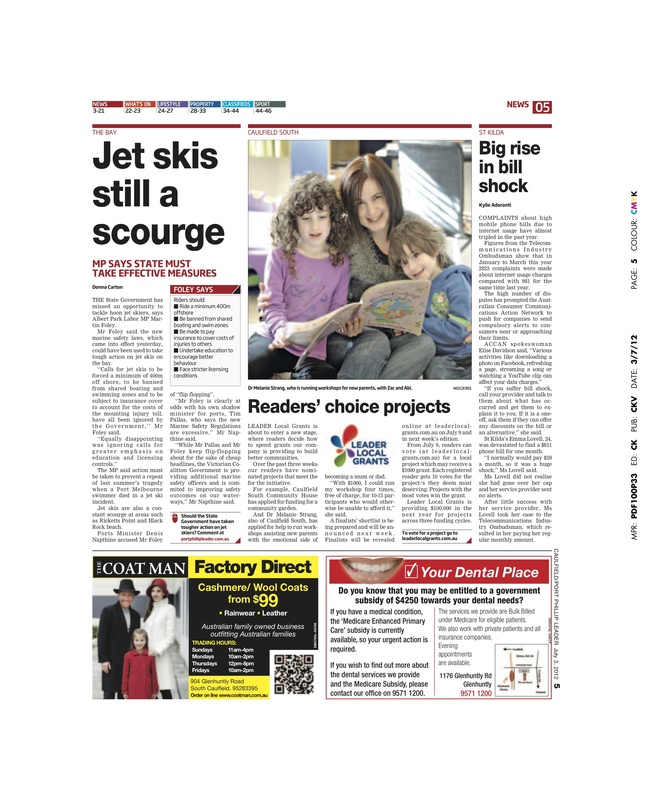 This is another Sourcebottle success with a call out from the St Kilda area Leader. 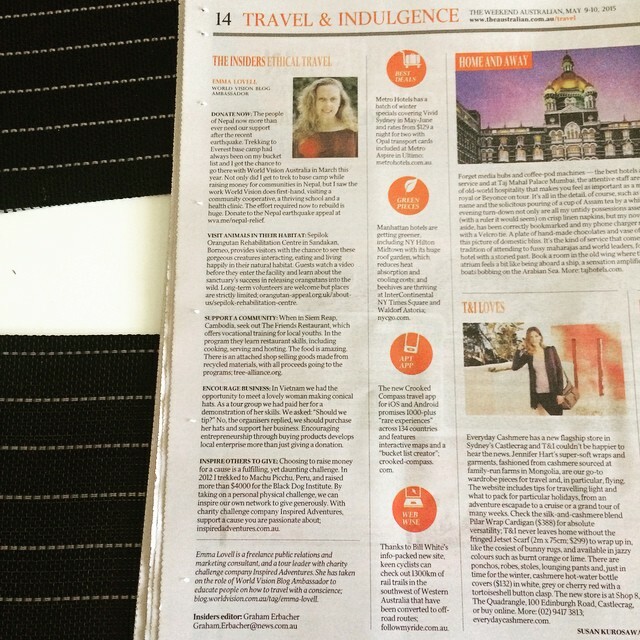 There was a photo taken but unfortunately the article reduced to this column size only. Make sure to keep all your media clippings on file for future reference.